The DiMarzio DP188 Pro Track Pickup sounds like a vintage humbucker and will drop right into your Stratocaster®. 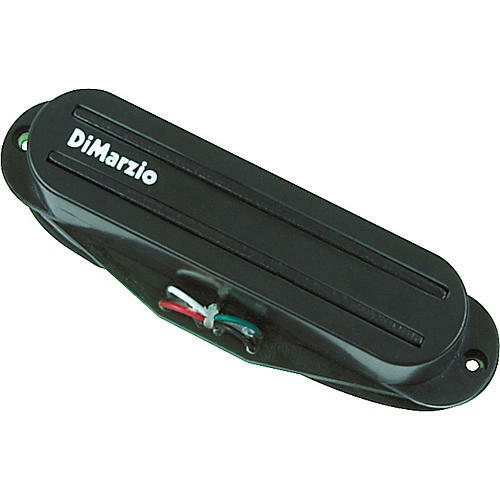 The DiMarzio Pro Track has enough power for any pickup position, and the two blades mean there won't be any problems with string alignment or dropouts. In the bridge position, the DP188 is a great blues pickup: combine it with a Cruiser® (neck) and a Fast Track 1„¢ (middle) for a solid mix. Pair 2 Pro Tracks„¢ in the neck and middle positions with a Fast Track 2„¢ by the bridge for a heavy, yet versatile metal sound. Recommended for all positions. Output: 275mV.